Do you live in King County and need an alarm? We are asking you to join us in this nationwide public initiative that aims to reduce the number of fire deaths and injuries in the U.S. by 25 percent within five years. We will be canvassing neighborhoods in need and installing smoke alarms free of charge. 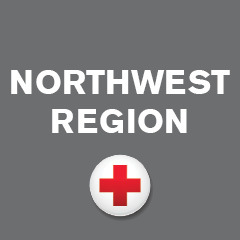 Contact your local Red Cross office to learn more about volunteer opportunities. Do you volunteer to install batters in existing smoke alarms? I am writing a newsletter for our community and would like to include this information – if it is true. Hi Sheryl. Yes, we can replace batteries as well. Also, because alarms have an expiration date, we often will remove an old alarm and replace with a new, 10-yr alarm with a self-contained battery (no need to replace the battery). Are you coming to Kitsap County in WA? Hi Judy. Yes! Since July, we’ve conducted more than 400 free installations in homes on the Kitsap and Olympic Peninsulas. To sign up or for more information visit getasmokealarm.org or call your local chapter (Bremerton) (360) 377-3761. Are there any free smoke detector give aways in marysville wa?